Map of all posts about travel in El Salvador. Move around, zoom in or out, go full-screen, and click on any icon to see a post synopsis. 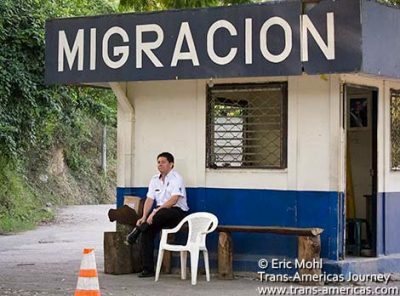 El Salvador, roughly the size of Massachusetts, is the smallest country in Central America. This, coupled with the fact that it has one of the best road networks in the region, makes it very easy to explore the whole place. And what a place. It’s got mountains, beaches, a surprising capital city, dinosaur bones (if you know where to look), a difficult but important recent past, and some of the most hospitable people in the Americas. 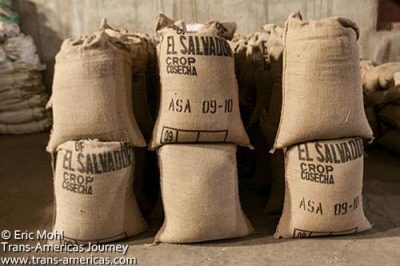 Though the official currency of El Salvador is the US dollar the Salvadoran colón is allegedly still in circulation, however, we never saw it during our 66 days exploring El Salvador. After more than two months and 1,555 miles (2,502 km) of driving, we produced more than 35 posts about travel in El Salvador. Get our overall advice about travel to El Salvador and a hand-picked selection of must-reads in our El Salvador Travel Guide. Don’t believe what you may have heard about San Salvador. 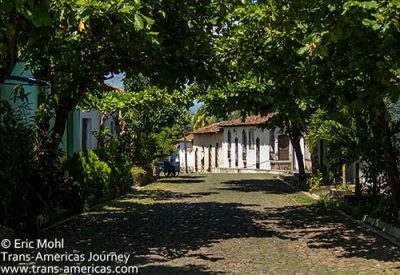 Pack your common sense and get ready to be surprised (in a good way) by San Salvador, the capital of El Salvador. We were. Our first stop in El Salvador was Suchitoto, which made a great first impression. El Tunco Beach is a laid-back sand and surf getaway. There are a surprising number of high end, small scale hotels in El Salvador. Our favorite was Casa ILB (now called Nico Urban Hotel) in San Salvador. On Flores Beach is the Las Flores Resort Beach Hotel, Surf Resort, and Spa which does manage to deliver a stylish beach hotel, a surf resort, and a spa. The best hotel in Suchitoto is the stylish, welcoming, and homey Los Almendros. 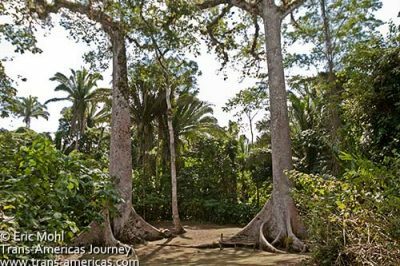 There are three national parks in El Salvador, including one called El Imposible National Park where you can hike and camp. The only place in Central America where you can try your hand at falconry is outside San Salvador. 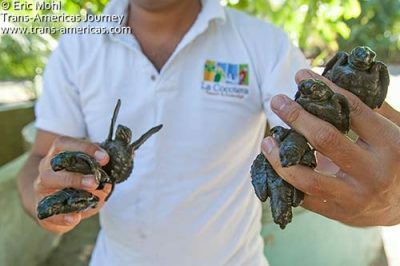 Time your visit just right and you could be releasing turtles on Bara Santiago. The area around the town of Metapán offers the chance to hunt for dinosaur bones and go rafting (not at the same time). Cuisine is hard to come by in El Salvador, but don’t underestimate the pupusas, a corn meal griddle cake stuffed with cheese, meat, a tasty flower bud called locro, and other options. It’s the national dish of El Salvador and a neighborhood of San Salvador is home to pupuserias serving some of the country’s best pupusas. El Salvador’s coffee is world class and in 2011 El Salvadorian Alejandro Mendez was named the World Barista Champion. Last we heard he was plying his craft at Viva Espresso in San Salvador. For more coffee, explore El Salvador’s Ruta del Café. A very recent, very violent civil war is a large part of the cultural footprint of El Salvador. 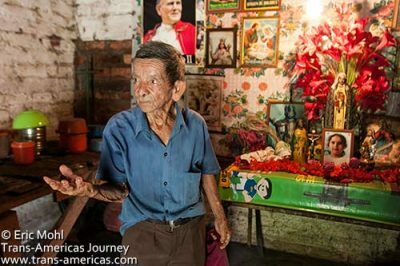 Learn what you don’t know about the dark years in El Salvador in affected areas around Suchitoto. 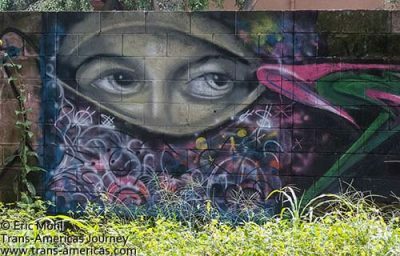 Even more brutal, but enlightening, was our time on the Ruta de la Paz with its massacre memorials and hints of ghosts around Perquin and El Mazote, El Salvador. The Joya de Ceren archaeological site is the country’s only UNESCO World Heritage site and in many ways it actually is the Pompeii of Latin America. Ready for more? 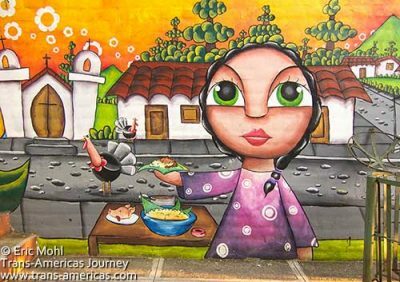 Read all of our posts about travel in El Salvador.